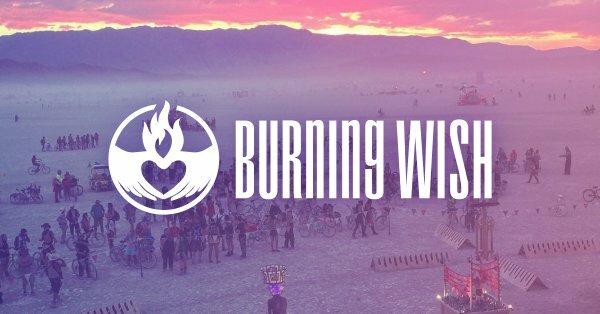 Aaron Muszalski aka SFSlim has created Burning Wish, a beautiful project that helps cancer patients and their families create a plan to attend and enjoy Burning Man without having to wear the label of cancer or suffer an interruption in care. The program debuted in 2018 and funds are being raised to bring it to Black Rock City again in 2019. Burning Man is a uniquely potent, transformative experience. But it also presents many challenges, even for people in perfect health. For people facing cancer, Burning Man can seem an unrealistic or even unattainable goal. We work closely with patients and their loved ones to understand their individual situation, including hopes, concerns and medical needs. We then craft a personalized experience to make their journey to and from the playa a positive one. We’re currently raising funds to give this gift again in 2019… and beyond! Please follow us at @aBurningWish or donate/volunteer at https://t.co/LxbuIwmKRF ? )'( ? Journalist Joe Balsam wrote a wonderful article for Adventure.com about the Burning Wish and the people who participated in it. The title of the article says it all “The patients who said ‘f*ck cancer’ and went to Burning Man instead”. So very excited to finally share this with you all! ? )'( ? This is the story of @aBurningWish, the organization I created to share the life-changing experience of Burning Man with others affected by cancer. ?